JACKSON – Today, the Mississippi House of Representatives voted on and passed House Bill 957, which establishes the Mississippi Uniform Per Student Funding Formula Act of 2018. The new funding formula passed by a vote of 66-54. 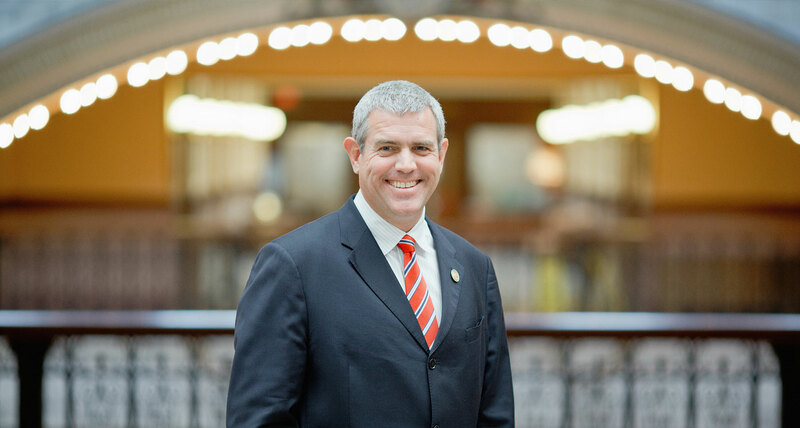 “Today, we have accomplished the first step of our goal of sending more dollars to the teachers and students in the classroom,” said Speaker of the House Philip Gunn. “We have worked with the Lieutenant Governor and the Senate to craft this legislation that creates a more equitable, fair funding formula. We look forward to continue working with them as we see this bill through the legislative process. Base student cost set at $4,800, with additional weights added for specific student needs: special education for the different tiers, English language learners, gifted students, low income and high school. Funding based on average daily membership (ADM, enrollment figures would be monitored three times a year), rather than average daily attendance (ADA). Methods for consistent, accessible reporting. For the first two years, school districts would be funded based on the appropriations of Fiscal Year 2018, with some districts seeing no changes in funding and some seeing increases if enrollment numbers grow. This two-year period would allow districts time to study the formula and its reporting methods. The next five years would be the “phase-in” period that would gradually increase the overall investment in education by an estimated $107 million. Ongoing interests will focus on mandating that the Mississippi Department of Education submit a plan to eliminate overly bureaucratic regulations by next year; studying alternate options to the 27 percent rule; and establishing a new financial transparency model comparing spending across “peer groups” to evaluate spending habits among districts compared with what the legislature is providing.